I actually recited this song over and over when I had to do my spinning chair training. I will send a short, low-quality video that someone took with a small photo camera. The test is supposed to help you with your vestibular system. As you may know, when you fly in zero-G your vestibular system gets all messed up, sort of like when you are on a boat. You can get nauseous and feel miserable. The effects differ by individual. Some people are more susceptible to this problem and some adapt very quickly, but one of the essential things that is packed in our space suit, in a nice easily accessible pocket, is a “barf bag” (sorry I don’t know the technical term for it). As you can imagine, this is NOT one of my favorite things, so by singing the song or doing simple math calculations in my head I keep myself from getting sick. I had to do this exercise several times in Star City and almost everyday since we arrived in Baikonur. Talking about favorite things, I thought you may be curious to know some of mine… I love listening to music. I have no talent in playing any instrument but I love listening to all sort of instruments, specially violin, santur and daf (the last two instruments are used in Persian music, you can see them on this website.) . I like instrumental and new age music, but I also love listening to jazz and blues, light rock and dance music. I guess the only music I don’t listen to often is heavy metal. I guess I’m too old for it ;-). Congratulations on the trip. It’s amazing to realize one’s dream like that. I’m a telecom engineer too, but far from achieving as much as you! You’re a model for all of us. Have a safe trip, looking forward to your first space blog! What? No “Walking on the Moon” by the Police or “Countdown” by Rush? Every video imaginable can be found on YouTube. As Peter mentioned in an earlier post, I too am green with envy, but look forward to taking a virtual trip along. It’s nice to get a personal view from you of yourself and what really goes on in the process of going to space. Thanks for posting this blog to allow the rest of us to join you in your journey. Flying over various parts of the globe, even at a mere 35K feet, always gave me pause to ponder the situations transpiring on the ground, especially since we were flying freely over without boundaries. I can only imagine how that feeling would be up in space. I expect you might also think about such things and will perhaps share some of your thoughts in this respect while on orbit. If I somehow come across $20mil, I will be quick to follow in your footsteps to the ISS, but in the meantime my hope is for current and future private space efforts to develop safely to offer us more opportunities. “Le Petit Prince” and its humanist message is a must for anyone who look to join the stars to the hearts. First of all I must say I am extremely proud that a fellow Iranian is going to the space station, much more so the first female. Congratulations and best of luck. I will be following your journey closely and look forward to sharing some of your experiences in space. I hope this will also be an inspiration for Iranian youth to keep dreaming of a better and brighter future. Even without going into space, we all have adventures, but taking part in such a unique endeavour certainly does make it seem like the average “Joe” (name can be used for male or female) is a little closer to something similar to what you’re about to do. It’s now getting cooler in the part of Canada I live in, and with that, it seems the nights are clearer. When I walk home from work, it’s usually dark and the stars look great, perfect for imagining being on the International Space Station looking down. Just curious, you say one of your favourite songs is Imagine by John Lennon. Is there – if you don’t mind me asking – special significance for you in this song. Lennon isn’t saying there is no God (I’m assuming he’s saying that – of course, you know what happens when one assumes), he’s just asking people to imagine a world where there’s no conflict – particularly in the name of God (whether He intended it or not). The time is coming up and we are all thinking about you. I was going to ask you for sthing, am I allowed to print your logo on one of my T shirts? Officially you got the right and of course I am not going to do anything you are not happy with. God knows how Mr Hamid Ansari feels now!, he is a great man I dont know how many men on earth can handle what he is going through. By the way there is book called”Wherever you go there you are” by Jon kabat-zin worth reading it. Good luck Anousheh from all of us in friendswood TX. You made us proud. Saalha ye sal az dorane koodaki arezooye dirineye man ham hamin bood, ama To bel akhareh be arezout residi, vaghti az zamin kharej mishi ino bedoon ke milyardha nafar dar sarasar jahan Montazer bazgasht to hastand ta oonche ro ke didi barashoon bazgoo koni. Anousheye Aziz, Man “OMID” ba tamame Vojooodam Doostet Daram, Na faghat be khatere zibaeet ya safar be faza, Be khatere inke VOJOUD va ERADAT ro bishtar az har ensane dige ee SETAYESH mikonam. To Bishtar az hameye ma be khoda nazdiktar hasti chon be goftash amal mikoni. Azat tamana mikonam oonja yade man “OMID IRANDOOST” ham baash, man talash mikonam ke belakhareh ye roozi biam va az nazdik bebinamet. I was just thinking about all the training you’ve undergone and i couldn’t help but wonder, what percentage ( in your opinion ) of all that training is geared towards the launch and recovery of the spacecraft? in other words given a vehicle capable of vertical take-off and landing (humor me ) and able to fly all the way to the ISS and back under power( let’s borrow a shuttle from the Enterprise minus the intertia dampers, shall we 🙂 ) How much of that training would be phase out? I would imagine that a considerable amount of preflight training would not be conducive to a thriving space tourism industry. If i ever ( oops! when ) find myself 62 plus miles above the earth i intend to be listening to ENYA and Josh Groban. Of course the anthem for my flight would have to be the version of ALSO SPRACH ZARATHUSTRA (2001 Space Odyssey) by Brazilian born Deodato. What tunes are you taking with you? Just wanted to congratulate you on this fantastic achievement, what a wonderful goal to be on your way to realising. Not long to go now – all the best for your journey. You are an inspiration to women (and men) everywhere! مايلم اشتياق وصف ناپذير خودم ، به لحاظ مشاهده افتخارات شما را اعلام کنم . توصيف تان در مودر بي حد و مرز بودن اشتياقات و تمايلات کودکي و تلاش در جهت ريدن به آنها تحسين برانگيز است . خوشحالم که اولين زن فضانورد توريست جهان يک ايراني است . و به خود ميبالم از اين که چنين هموطناني در همه جاي زمين دارم . Oh I’m so sorry I should have not missed Tintin and specially the Space series and of course Star Wars. You are absolutely right. What I like about it is that he is inviting you to imagine the unimaginable, a world without borders, without conflict, without wars. That is certainly a world I like to imagine and live in. I also believe that if enough people share this vision and imagine such a world that we would eventually be able to live in a world of peace. Also I wanted to tell you I love Canada. I think it is a beautiful country with very friendly people. I’m hoping to plan an extended trip there. Part of the reason I started training as a backup was to understand how much training is really necessary for a “Space Explorer” who is not a professional. The training in Star City was half dedicated to the Soyuz and half to ISS. There was also a lot of physical training and Russian language training. So If you take all that out and only talk about the Soyuz, you should be able to cover everything you need to know in 3 weeks, depending on your skill set and background. Most of training in simulation focuses on “off-nominal situations.” Soyuz has a very sophisticated escape system at almost every stage of the flight. I will make a general post about my training soon. I do like Enya a lot as well as Loreena McKennitt. I’m taking an iPod with about 40G of music. A mix of everything, from classical music to pop music and Persian music. waiting for you to come back. have a wonderful,informative and safe journey. khanume anushe behetun tabrik migam safare khubi baratun arezu mikonam va yek bazgashte por az khaterehaye khub. mosahebatuno az TV gush kardam va az shenidane harfatun vaghean lezzat bordam.hamishe movafagh bashid. tarjih meedaham be farsi benevisam. az soroor parvaz shoma dar poost nemigonjim.ba hamsaram dar saat parvaz barayat az khodavand ke bevojood avarandeyeh hameyeh tavan bashar ast, talab salamat va behroozi khaheem kard. Agar bekhahi Ketab “HOW TO CHANGE THE WORLD ” ra barayat tarjomeh khaham kard. You have an amazing ability to inspire everyone that going into space is a possible goal to achieve. Growing up in the space age I had the feeling that only certain people with the right stuff, as they called it, could make it. I have two TV’s in front of me, and since I’m disabled, I spend the whole day watching TV. One is almost always on NASA TV, and I first noticed you. Certainly God has created you to be a leader, and countless children will be inspired by your life, so I like the term space explorer. Have you ever read “Alone” by Adm. Richard E. Byrd, who spent a winter alone in Antarctica? It’s my favorite adventure book. May God bring you safely home! What an incredible journey you are about to start. I would guess that there will be many millions of people around the world who will be wondering what it would be like to be in your shoes. I certainly am one of those people 😉 To be able to see the world from high up in space just like something out of Star-Trek is a dream that everyone on this world must also have thought about one time or another. I guess the ultimate must be to space walk, now that surely would be the most absolute “Blow Your Socks Off” experience you could ever handle. You are truly an ambassador for all the ordinary people who long for the freedom and exhilaration of what you must be feeling now. I truly admire you and will pray and wish for you safety and happiness Anousheh. Jeez if you were a bloke I would say “You sure got some balls man”. But as you are not, (thankfully) I am content, to give you a huge mind hug. You have the chance to feel better than me! You have the chance to touch the sky! You have the chance to see the God! and let’s now your feelings when you come back. nemidunam che hessie ke man peida kardam,hatman bayad har ruz biam va 1 peigham baratun bezaram,fekr konam 1 hesse moshtarake,shoma movafagh shodid dar zendegitun,va man daram avvalin ghadam ha ro baraye movaffaghiate ayandam va khedmat resani be mardom bar midaram,midunam ke khoda shoma ro dust dashte ke shoma ro be movaffaghiat resunde va shoma ro be khodesh inghadr nazdik karde,pas baraye man ham doaa konid ke be ahdafi ke daram beresam va betunam mesle shoma baraye mardome jahan mofid basham. 1 khaheshe dige ham daram,dastane zendegitun.kheili baram mohemme va kheili alaghe daram ke bekhunam,khahesh mikonam. be omide pirouzie bishtare shoma va hame iraniha . Remember one thing. You are not Iranian – you are an American. In Iran a woman looking to the skies and saying “I want to go there” would be beaten. In America we say “go for it”. Have a good flight. Some people give the meaning to the world by just being in it and YOU showed that not only we can achieve our hopes and dreams, but also we can be “more” than what we are, always! Future belongs to those who believe in their imaginations, future belongs to YOU. Delightfully, I’m joining the millions and millions of people who have put their hearts on your way and are praying hard from the bottom of their hearts that YOU -and the crew- have a safe, amazing, fruitful trip. Hi Anousheh! I saw a brief insert on the news about your space voyage and then found your blog by accident today. I read your post about the price of a dream and want to agree with you on it. Everyone has a dream and how you reach yours is up to you… and even better when you can reach that dream. Good luck with your voyage, I think what you’re doing is so exciting! My dream, eh, we’ll see! Enjoy every moment! From South Africa. PS: What does your name mean and how do you pronounce it? Here you can read my biography http://ayjw.org/articles.php?id=336283 also if you had enough time, you may take a visit from http://cyberfaith.blogspot.com that is my English blog. I am very interested to make an interview with you; also I watched your live interview with the 4th channel of Islamic Republic Of Iran TV. If I would prosper, I will publish the interview on the Jame Jam daily newspaper, by the way of course you can understand my situation and I cannot use to make a face-in-face conversation with you, therefore I want to know that how can I contact you via Email and send you the question, then receive the answers? I want to tell you that it is more than 1 year that I am following your news and latest information as the “First Iranian Space Explorer” so I desire you to help me, even I would contact Mrs. Terri Griffin, surely you can help me if you decide. have a good time in space. Congratulations from Illinois. How exciting for you to be able to participate in such a journey. My sons and I are watching your blog and can’t wait to hear more about your trip. HAL VA AHVALETAN CHETOR AST ?? Shoma ham vaghti ke rafti asemoon jaii ke be khooda kheyli nazdik tar az harjaye digar ast lotfan baraye maha ke hata nemitonim yek milimetr pahamoon ra tekan bedim 2A konid ke danesh mara sare pa konad. از اینکه میبینم یک هموطن و یک ایرانی افتخاری دیگر برای ایران عزیز می افریند بسیار خوشحالم.بدانید که دیگر هوطنان شما نیز در هر کجای دنیا که باشند به شما میبالند. امیددوارم از عهده ان بر ایید. دعای خیر ملت ایران بدرقه راهتان. Good luck to your journey, you have a heck of the guts, and you are an excellent raw model for the young generation, for those they say “it can not be done, it is too difficult”, or for those they say “should have, could have, would have”. In addition to having NASA TV on most of the time, I now have your countdown page counting off on the computer as I watch TV. Tonight I watched two Mark Twain classic movies, “The Prince and the Pauper” 1937 followed by “The Adventures of Huckleberry Finn” (1960). Well from time to time I look down to the counter, now 17 hours 6 minutes 2 seconds; and I put myself in your place and thought if I were you wouldn’t my stomach be turning in knots? Your great beauty and character is that of a great leader, and I find myself identifying myself with you. As when I watched “The Sound of Music” I identified with the boy my age when I watched it. I read that many identify with you. When I think of you, I think of you as a Space Explorer. Admiral Richard Byrd had to raise finances for his expeditions. If he were alive in your generation, wouldn’t he wish to be in Space, I think he would indeed. I hope you will write a book about your exploration into Space, if you do, I would look forward to reading it, and then perhaps they will make a movie about it. Movies have the ability to reach people who might never have known about you, and they make it possible for you to inspire many more than otherwise might be possible. Admiral Byrd had great difficulty bringing himself to write about his adventure, I hope you will write about yours. all iranian are hopefull that you flight successfully. i sure that you check this comment after return. man b khodam b onvane yek irani eftekhar mikonam . shoma ruhe jadidi b iraniha damidid.omidvaram dar ayande betunam az tajrobiatetun estefade konam ta man ham betunam b noee az in mahdudiatha va nashodanha nemitunamha obur konam. barat arezuye movafaghiat va sarbolandi daram. Good Luck! . . . . and Happy Space Voyage! barat arezooye movafaghiat mikonam ! امروز روزيه كه كوچكي زمين رو خواهي ديد. هممون بهتون افتخار ميكنيم دلها و دعاهامونو بدرقه راهتون كرديم كه بسلامت برگردين. خدا پشت و پناهتون باشه و علي يارتوووووووووووووووووووون. Your dream is being fullfilled with Iranians, Russians, Americans, and others, working together for all our sakes. May we always support each other. I was a US Peace Corps Teacher in Taft, Iran (near Yaxd) from 1972 to 1974, teaching English. My life continues to be enriched by the friendships, language, and culture I began to know so long ago. You are another shining element in my joy. Peace to all reading Anousheh’s Blog. Through her we are sharing a wonderful adventure. emrooz vagti parvazet ro didam gerye kardam ,kheyli khosh hal boodam va az samime galb barat arezoye moafagiat mikonam.omidvaram yek rooz man ham betoonam zamin ro az faza bebinam. inja hame dooseton daran.hame negarane parvazetoon boodan.shabe khobi dashte bashid dar faza. congragulation. i can imgine how you feel now. i am writer & translator and it may be interesting for you to know that my first story is about my dream of going to space in childhood. now your are up there. oh, its amazing. care yourself & be happy. kiss your from the earth. sar kar khanome ansari salam…. alan sate 23:30 be vaghte Iraneh va shom nazdik be 16 sate ke to asemonaii…az in ke be roye becheghiton residid behton tabrik migam … va be khatere zahmati ke dar in rah keshidid beheton khasteh nabashid migam… emshab TV4 iran nazdik be 1 sat dar morede shoma va mofaghiateton barnameh dasht… rastesh man nemidonestam hanoz khodeton ro Irani midonid ya na?… ama vaghti shenidam parchame Iran va yek jeld Ghoran ba khodeton be faza bordid … vaghan az inke hanoz ba khalafe kheili ha hanoz esalet khodetono hefz kardid … khoshhal shodam va ashk dar chemam halgheh zad…va bade om barnameh omadam toie Net ta aksi ba parchame iran peida konam …ama khob ….begzarim! arezo mikonam be salamat be zamin bargardi va ma dar Iran betonim ontor ke shaiestei To hast az to taghdir va esteghbal besheh va ma ham betonim khaterate safar royaiit ro az zabane khodet va ba sedaie khodet beshnavim !be omide on roz ! khoda negahdaret basheh azize dele Iraniani ke delshan baraie Iran mitapad! man az iran barat peigham midam. nemidonam che jori ehsasam ro barat begam vaghti parvazeto didam. man ham ashegh nogom hastam va asheghe asemon. inja to iran hame be to eftekhar mikonan. az tehran barat dast tekon midam . با تمام وجود برات آرزوي سلامتي مي كنم. اين جا تو ايران همه برات دعا مي كنن چون تو مايه افتخار ما هستي. من هميشه تو فكرام دوست داشتم زني مثل شما باشم. از تهران برات دست تكون مي دم تا بدوني چقدر دوست دارم. and i want god for you to countinue your trip to other planet and space.have a good time and memorable trip. Anousheh khanom e aziz man ba tamame vojoudam be shoma va faalliathatan dar zamineye elmie morede alageten eftekhar mikonam!nemidanid chegad khoshhalam!! !alageye asli man reproduction genetics va breast cancer therapy hast vali dar dorane nojavani space az alaege man bod va darke kameli az hesse shoma daram! faza khosh begzare ma inja dar tehran sahargah ba dosta jam mishim va istgahe fazayie beinolmelal ro rasad mikonim va ashke shog mirizim va dast tekon midim beheton! salam khanoom ansary kheyli khoshhalam ke shoma baz ham maye eftekhare iran hastin.omidvaram safar mofagiat amizi dashte bashid. I”m in virtual orbit, NASA is always, well mostly, say 23.8 average on. and i’m from time to time wondering what’s it’s like to be in micro gravity. salam khanome ansary , vaghean beheton tabrik migam , va az samime ghalb baraton arezoye movafaghiyat mikonam. ba salam khedmat sarkar khanoom ansari,man be onvan yek irani vagean eftekhar mikonam ke tavanesti d name iran ra sarboland namaeid. alan ke in coment ra baraye shoma mizaram shoma dar hale nazdik shodan be ISS hastid. man be onvane yek irani be shoma eftekhar mikonam.motmaenam har irani ham be shom va be irani budanesh eftekhar mikone. omidvarim shahede movafaghiyathaye bishtare shoma bashim. Enjoy your trip. Your a mentor to me and honor your successes and challanges. salam khanome ansari man ye dokhtare 18 saleye irani hastam . man ham mesle shoma az bachegi arezom in bode ke ro merikh rah beram va hatta doste merikhi ham dashtam vali bekhatere sharayet natonestam hatta yek ghadam be soye arezom bar daram . chon hamishe morede tamaskhor gharar migereftam . va hamishe migoftam man avalin zane irani khaham bod ke be faza miram va ye kahkeshan be esme khodam sabt mikonam.vaghti khabare raftane shomaro shenidam be shoma ghebte khordam va albate narahat bodam ke chera man natonestam khodam ro bavar konam va be arezom beresam (dar vaghe az khodam badam omad).kheyli talashkardam ke beram kharej az keshvar vali ……….. nemidonam ehsasamo che jor bayan konam .az samime ghalbam baraton arezoye salamati va movafaghiat mikonam va omidvaram shomaro dar iran bebinam . 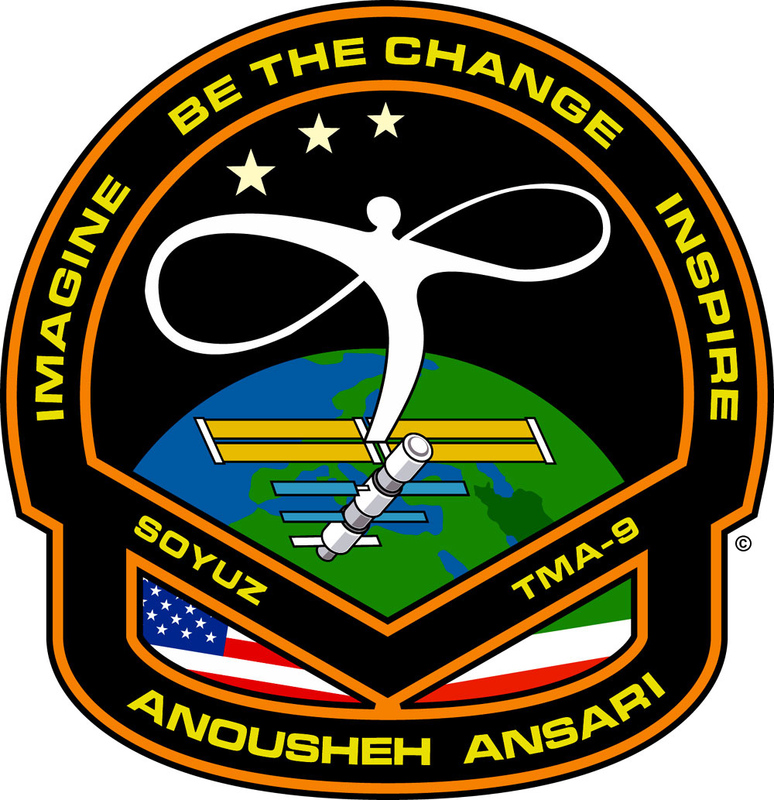 Hi Mrs.Anusheh Ansari, I’m a Brasilian citizen and I like to congratulate you on this amazing achivement.You are making the dream come true for thousands of humans who one day want to visit the space,specially my dream. In a good way I envy your achievement,enjoy your stay at space station and have a safe return, we need human beings like your self here on Terra firm. I could not sleep and was happy because I got to see both the docking and the door open and the short interview. then I wondered, what will you be doing there, and I have NASA on as always and notice you seem to be typing on a laptop, I suppose writing to your family and friends. as i said i am reading physics and about space for 6 years,i have been very good at it.it was and is always my famovorite subject,but i am now student of university in iran,studying engineering electronic.but yet i am studying physic.it calms me when i study it ,i think as much as you are favorite in space,i am endless about it . دریا را دوست دارم به خاطر خروشش صحرا را دوست دارم به خاطر سکوتش پرنده رادوست دارم به خاطر پروازش و تو را دوست دارم به خاطر شجاعتت . zemne arze tabrik be shoma babate azme rasekhe shoma dar amaly kkardan arezooye koodakitan bayad begam ke khylyha chizy ro doost daran va shoar be doost dashtane chizy mizanan valy hata az lamse on ham mitarsan ,man shojaat shomaro setayesh mikonam.omidvaram ke betunid ham fazaro khub siyahat konid va ham be tahghighate khodetun dar istgahe faziyi residey konid.shoma in haghighato sabet kardin ke barabariye zano mard be hich chiz joz hadafdar boodan tarz tafakore ona bastegy nadare. ba salam va tabrik faravan be shoma , jayeh tamam hamvatanan ra khali konid ! We would be happy if you could join us in cloob.com the largest Irannian community. wishe you the best in your life. خانم انصاری درسته که شما فرد ثروتمندی هستین که تونستین این کار بزرگ رو انجام بدین ، ولی مهمترین مسئله دید باز شما و برداشت بلندپروازنه شما از ایندست . با این اقدام شما ایندگان برداشتی کاملآ متفاوت از انچه نسل ما درباره فضا داره ، خواهند داشت. این خواست خدا بوده که شما بتونین از هوش استعداد وقت و ثروتتون را در راه ارمان های بشریت (علم و صلح) صرف کنین . برای شما زن ایرانی مسلمان ارزوی موفقیت های روزافرون دارم. امیدوارم سفری به سرزمین مادریتون به همین زودی ها داشته باشین. You’re a unique Iranian woman! We are so happy in all of the world to have a lion-heart and brave iranian woman like you. I want to tell you that success is in the hand of every body but the first person that try to have it can take it. you exactly did it but you imagined a big dream and now you are watching the result of the before imagination because you had faith on it. So i appriciat this kind of high aspirations and bravery works. I khow you would success in all of your life because you have a big purpose behind of your it. Welcome Home! back to earth! I look forward to hearing or your thoughts about your adventure!!! where madonna is,there i am..